Last year I gave my readers a Checklist, to help with back to school homeschool organization. 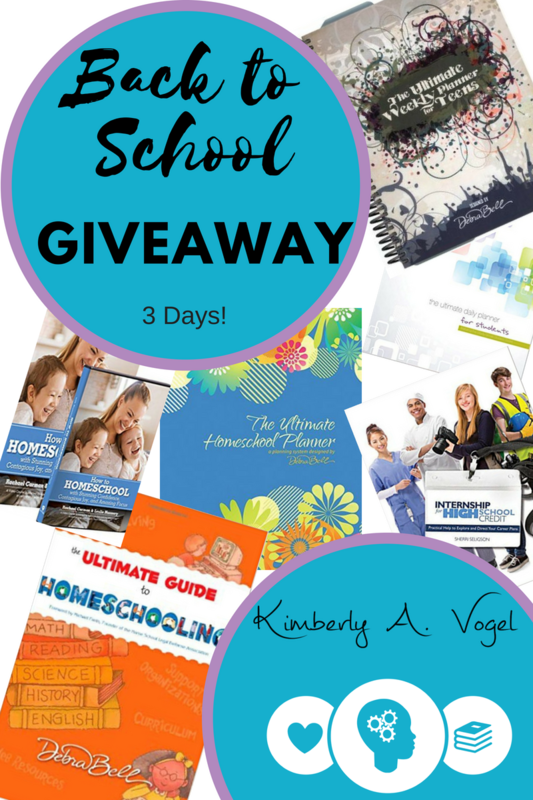 Today I’m giving my readers a chance to win a Back to School Organization and Homeschool Help set of books! There will be three winners! The giveaways will have one each day, and will run for the week with winners announced Monday, August 27. If you haven’t yet downloaded my checklist, everyone can get that too! Just sign up for my newsletter and you will receive the printable! This way, Everyone Wins! On Sunday, August 19, 2018 this giveaway will start. The Ultimate Guide to Homeschooling by Debra Bell is a book for any homeschool family, but very valuable for newbies. How to Homeschool with Stunning Confidence, Contagious Joy, and Amazing Focus will help new homeschool families start right, but can also be for any homeschool family looking for joy, focus, or confidence! This giveaway will start Monday, August 20, 2018. The Ultimate Homeschool Planner and the Ultimate Daily Planner for Students by Debra Bell. If you haven’t used this planner, it has everything you need to plan for a successful year! This giveaway will start Tuesday, August 21, 2018. The Ultimate Homeschool Planner for Teens by Debra Bell will help your Middle or High Student have a great year and be an independent scholar! Included in the giveaway is a book Internship for High School Credit which provides practical help to explore and direct your child’s career plan! 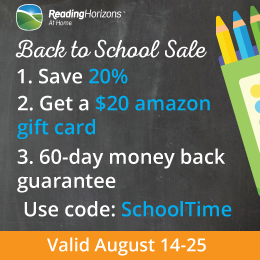 Please share these Back to School Giveaways with your homeschool community! Let’s help each other get the year off to a great start! We would love to win this back to school giveaway! Thank you for the opportunity!